I don't think they'd go to the lengths to photoshop a tiny photo of J-20 by the Wuhu airport just to make a point that we've established via satellite image. 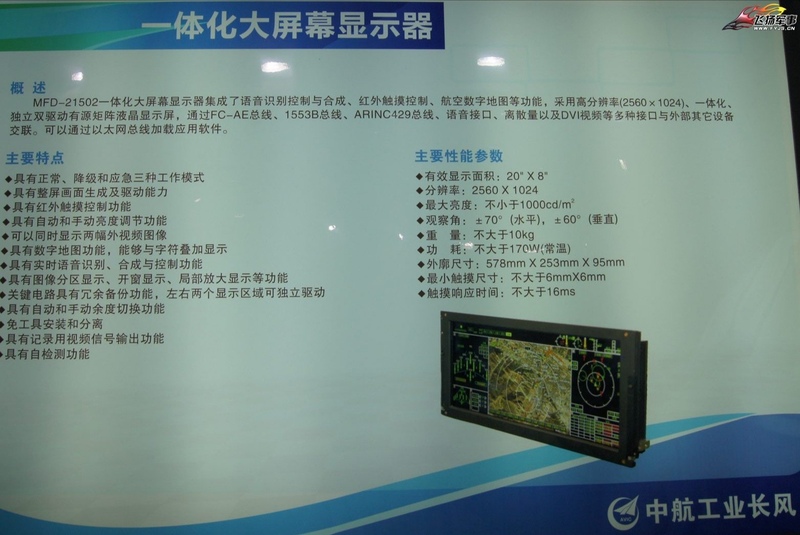 The poster in question is a reliable PLAAF watcher. Xsizor, Bltizo and Air Force Brat like this. Error level maybe due to image sharpening, like using 'edge sharpening' in PS. I do this most of the time before uploading images. mys_721tx, N00813 and Air Force Brat like this. I have tried FotoForensics couple of times and read its explanation, but failed to understand why it claims that it can distinguish doctored photo from legitimate compressed photos. Maybe my knowledge of JPEG compression is too limited. But from "information theory" that I learnt in school, compression removes information and introduces artifacts, the more compression (high compression rate in one go or multiple compressions) the more artefacts there are, eventually the photo will look unreal with random pixels that make them look doctored. In another word, there is no difference in the end result between doctoring and compression. The only way FotoForensics' method can make a judgement IMO is by analysing photo in RAW format that involves no compression but only values of pixels from the CMOS/CCD sensors. But most of the photos are JPEG either compressed by the camera (in good quality) or compressed from RAW by Photoshop (still good quality), or repeatedly compressed by various users or photo services (bad quality). I highly doubt tools like FotoForensics can really tell the difference. The centre of the whole thing of "information theory" is that once information is lost in compression, it is lost forever. The artefacts introduced are fake regardless how the end result is reached, it is impossible or pointless to make a difference by the means employed by FotoForensics. Actually, doing heavy or multiple compression is one known practice to make doctored photo looks legitimate, but the opposite of "poor quality photo is likely doctored" can not be determined. It is possible to tell a doctored photo by examining the angle of light, distortion of geometry of object and wrong perspective etc. But those are not employed by FotoForensics. Xsizor and Air Force Brat like this. The only way FotoForensics' method can make a judgement IMO is by analysing photo in RAW format that involves no compression but only values of pixels from the CMOS/CCD sensors. But most of the photos are JPEG either compressed by the camera (in good quality) or compressed from RAW by Photoshop (still good quality), or repeatedly compressed by various users or photo services (bad quality). ELA needs compression artifacts to work and does not work on raw bitmaps, or anything that has not been loosely compressed for that matter. JPEG is a lossy compression method and introduces compression artifacts. Each image has its specific error pattern. Digitally combining two images causes inconsistency of the error patterns in the result images. ELA is useful in spotting those inconsistency. Agreed. It seems that Adobe products can and will automatically apply sharpening on save. It is quite possible Image Viewer on their phone do this as well. The sharpening may not be intentional on the user's part; however, ELA demonstrate that digital manipulation happened nonetheless. Not to continue but just to make clear of my original doubt. I actually got that explanation (in bold texts) from my earlier reading of the website. It is essentially a human (therefor subjective) judgement of what is that specific difference, like what shade of red is yellow, or red or purple, rather than based on some qualifiable number (threshold), so my doubt remains. I quite often intentionally modify images. Many people do that. I often change the 'Brightness - Contrast' levels (Hui Tong does that when uploading to his blog) along with 'Color Saturation'. I also use 'Smart/Edge Sharpening' and some other tinkering when images are blurry. As long as you don't doctor the image to make it something that it is not, then it is fine. For example, sharpening the image (View attachment 51766) so the J-20 is more discernible is ok (but adding non-existing J-20 is PSing). Error level is quite consistent along all edges in that image. IMHO the image is real but the uploader sharpened the edges before uploading. I could be completely off but I think that's what happened. Sadly, I get nothing when i google Bagu and J-16 together. Nor do I get anything on Global Times website when I search for J-20, AESA, JF-17 or KLJ-7A. 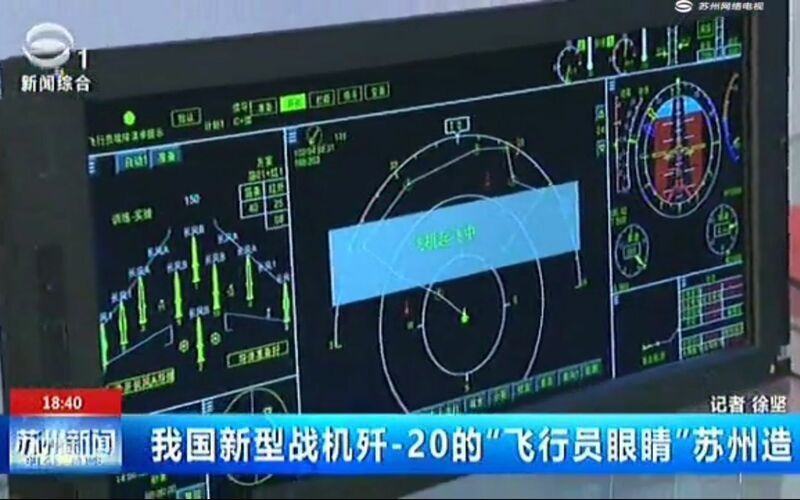 According to local Chinese TV news out of Suzhou, this is J-20's wide-screen MFD. The news segment uses some old stock footage of the system from a couple of years ago, which demonstrated its voice-recognition capability. Yodello, Equation, Air Force Brat and 4 others like this. 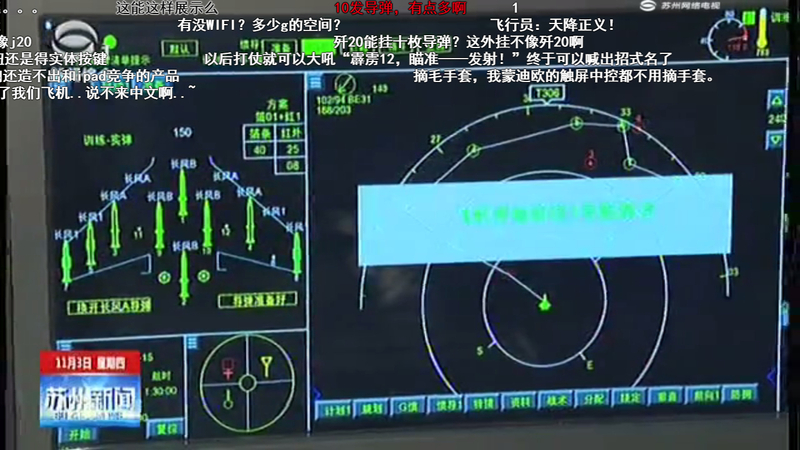 No, based on the aircraft shape displayed on the screen, it should be J-16. Yodello, Xsizor, Air Force Brat and 3 others like this.